Do you keep on searching for a fitness center that has all the amenities you could want? At American Family Fitness, we believe we have created that gym. With everything we have to offer, you’ll never go looking for another gym again! Are you always pushing for the best cardio and strength workouts? 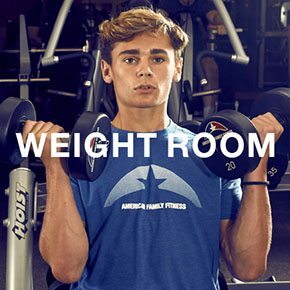 At American Family Fitness in Midlothian we have a wide range of possibilities for every age and fitness level. With access to our cardio equipment, as well as our weight training machines, you’ll soon be a pro. And now with our KidZone, you won’t need to worry about the youngsters while you try to fit in a workout. 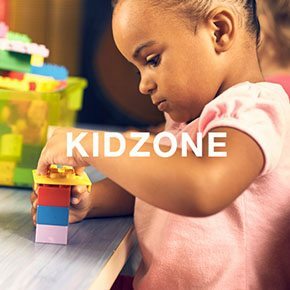 The KidZone is a safe place to bring your children (ages 6 weeks - 13 years) while you work out. Check us out today! Are you constantly reaching for the best cardio? At our gym in Midlothian we have a wide variety for all ages and fitness levels. Proper cardio training can increase your heart rate and burn fat. It can assist with the distribution of oxygen within the body and increase your energy levels. 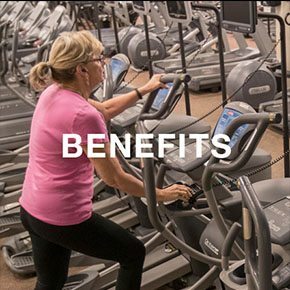 With our many treadmills, bikes, ellipticals, and stair climbing machines, you will quickly see results. Does strength training seem a little overwhelming? At the best gym in Midlothian, you have access to top-of-the-line equipment to help you reach your goals. Proper strength training helps protect joints, burn fat, and increase energy. Start your journey today. Is it next to impossible to find time to exercise? At our Midlothian gym we offer the KidZone, a safe place where you can drop off your children for two hours while you workout. At the KidZone, your little ones will enjoy supervised games and play time, so leave them with us and go sweat!